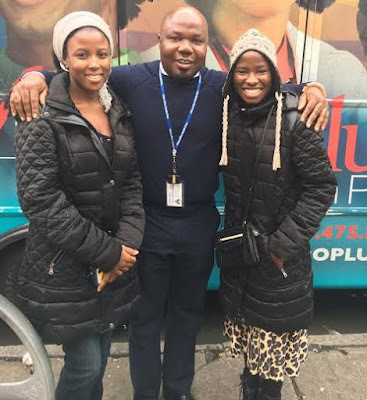 Recall, Mercy and Patience, who were among the lucky few that jumped out of the moving truck carrying over 200 schoolgirls, who were kidnapped by Boko Haram terrorists on April 14th, 2014, Well Both started school this year at Bronx Community College in the U.S under a project called Education Must Continue Initiative. 'Mercy and Patience escaped from the Boko Haram Truck carrying over 200 Chibokgirls. They are students of Bronx Comm College. Met them today!..